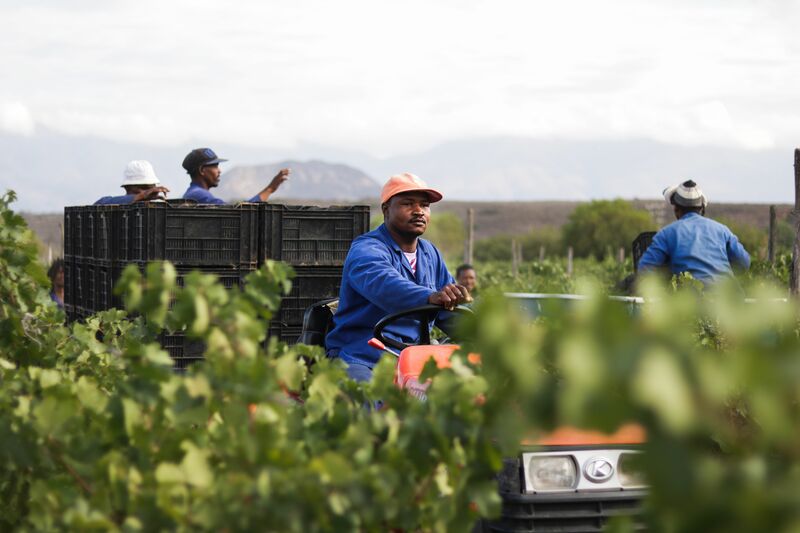 An early glimpse of the 2019 wine grape harvest at Boplaas in the Klein Karoo hamlet of Calitzdorp suggests outstanding wines are likely to emerge. The celebrated winery reports that so far, vineyards are delivering excellent quality despite a challenging season of little rainfall. Family-owned and run Boplaas says conditions required it embrace true diversity for the 2019 harvest by carefully selecting a variety of cultivars and regions for its portfolio. One of the reasons for this performance is that vineyards are matched to the soils and climate they’re best suited to. Boplaas Family Vineyards has become synonymous with benchmark Cape Port-style wine, as well as table wines from the Portuguese varieties Touriga Nacional, Tinta Barocca, Touriga Francesa and Souzão. These varieties are well suited for the drier conditions of Calitzdorp. The Nel’s long, multi-generational heritage of farming in the area, coupled with consistent investment in contemporary science and innovation, is a hallmark of Boplaas excellence. Winemaker Margaux Nel completed het MSc on Touriga Nacional as a table wine and recently completed an MBA at the University of Stellenbosch Business School. As for the advent of Portuguese varieties in the area, it came about by fortuitous mistake and started with Tinta Barocca. The story goes that the Boplaas patriarch, Oupa Danie Nel, returned from a visit to the Swartland in the late 70’s having fallen in love with Shiraz, a variety that excelled in that region. He promptly ordered Shiraz vines from a nursery in the Cape. It was later in part discovered however by his son, Boplaas co-owner and now cellar master, Carel Nel, while studying Oenology at University of Stellenbosch, that his father’s vines were in fact Tinta Barocca. The vines thrived and the rest is history.